A popular new year's resolution is to be more health conscious. 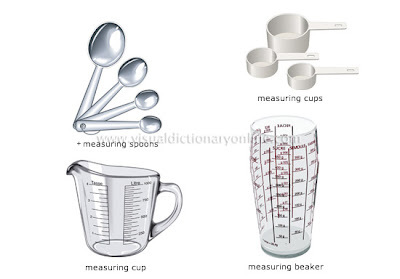 One way to do that is measuring portions. This month we're highlighting all measuring tools to keep with the theme... and maybe start a new habit for portion control! 1) Make a recipe using any measuring tool and create a blog post about it from now (the date of this post) until midnight, January 31st. Any previous blog posts you have where you've created a dish using a measuring tool (with pictures) are happily accepted. I've got a post in mind for this. Should be in up around mid-week.